Recently the City got some good news about Rikers Island, a change from the bad news of recent years. On August 2, 2016, Mayor Bill de Blasio, together with Correction Commissioner Joseph Ponte, announced that for the first six months of 2016 the frequencies with which staff used serious force on inmates and inmates seriously assaulted staff dropped by nearly half over the past year. Overall uses of force and assault numbers were also down over 2015, but not by as much. The mayor trumpeted the improvement although the frequency of the use of force and assaults in 2016 remained far higher than had been experienced from 2011 to 2014. Still, the improvement in 2016 over 2015, the most violent year, was a welcome step in the right direction. 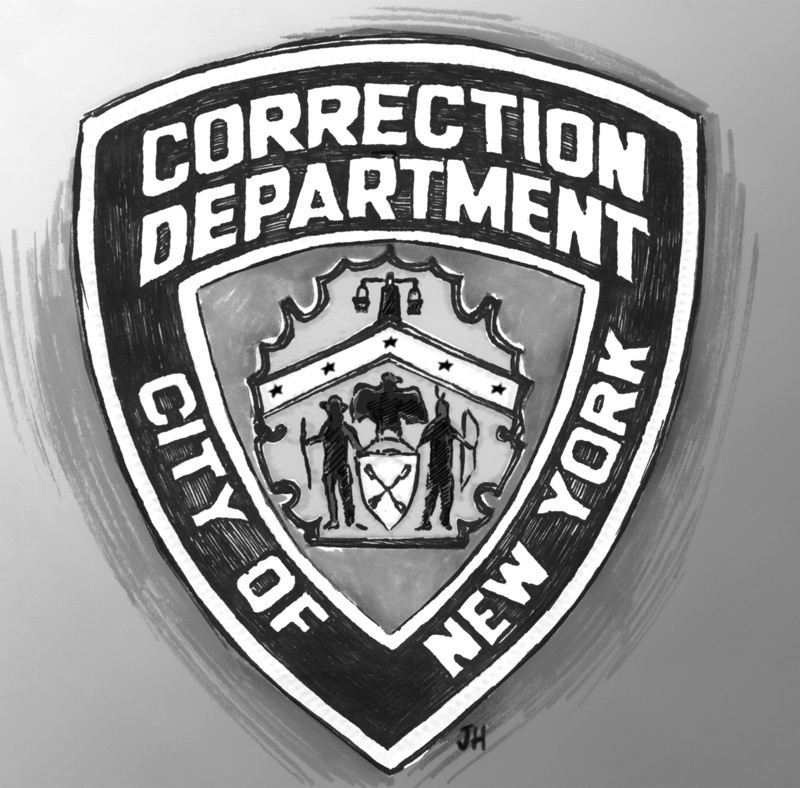 A second piece of good news came from the independent court-appointed monitor supervising Rikers Island and the other Department of Correction jails. The independent monitor, Steve J. Martin, filed his first quarterly report on May 3, 2016, and generally found the City to be meeting its targets with respect to an immense and ambitious reform agenda to limit violence and assaults in the jails and provide more humane treatment for inmates aged 16 through 18. The reform agenda had been imposed on the City by the federal district court in Manhattan under an October 2015 consent decree in a case brought by the Legal Aid Society and joined in by the United State. Nunez v. City of New York, 11 Civ. 5845 (LTS)(JCF). As good as these two reports are, the City is just at the beginning of its reform plans and, with respect to the requirements of the consent decree, danger lurks. The consent decree’s requirements are so intensely rule-specific, so encrusted with detailed directives, record keeping requirements, and written procedures, that the City risks never escaping from judicial control, which means supervision by the monitor and the outside lawyers. Past court decrees imposing similar requirements on prisons have rarely terminated. In 1978 Mayor Edward I. Koch consented to a federal court decree in the Benjamin case, a similar prison reform case aimed at unconstitutional living conditions at Rikers Island such as overcrowding, unhealthy food, poor sanitary conditions and intense heat. Today, 38 years later, the City has still has not satisfied all of the duties set out in the Benjamin decree and will remain under judicial supervision until the judge declares the case over. In 2011 Legal Aid attorneys filed Nunez v. the City of New York, another prison reform class action against the City. The plaintiffs by their Legal Aid attorneys alleged excessive violence at the City jails. Subsequently, in August 2014, United States Attorney Preet Bharara filed a scathing report on excessive violence against adolescent male inmates. As a result, in December 2014 the United States Department of Justice by the U.S. Attorney intervened in the Nunez case with its own complaint on behalf of adolescent male inmates. On October 21, 2015, U.S. District Judge Laura Taylor Swain signed off on a 63-page, single spaced decree consented to by the lawyers for the City, the Legal Aid Society and the United States Attorney. The consent decree has four main elements. One. The decree prohibits unconstitutional use of force. The decree defines unconstitutional use of force under various circumstances, as for example, the use of force to punish or retaliate against an inmate. Two. The decree imposes a procedure-heavy plan to limit the use of excessive force and protect adolescent male inmates. The plan is made up of 318 separate provisions divided into 15 topics. Virtually none of these additional duties and obligations are in themselves required by the Constitution. The additional duties and obligations are prophylactic measures added to insure obedience to the constitutional prohibition against excessive force. Such prophylactic remedies are allowed so long as they are sufficiently necessary for protecting the actual constitutional right. Adding prophylactic remedies to decrees is common and has been the usual way that courts have responded in institutional reform litigation. For example, a federal statute required that states provide poor children with medical assistance. Plaintiffs claimed that many eligible poor children in their state were not were getting the medical care. A court ordered the state to establish an elaborate system to reach eligible children. The right was medical care; the prophylactic remedy was the outreach system. Another example: prisoners are entitled to healthy food. Plaintiffs claimed that the food at a jail was unhealthy. A court ordered the City to build a new kitchen to prepare healthy food. Healthy food was the right; building a new kitchen was the prophylaxis. The Nunez consent decree is heavily encrusted with such prophylactic duties. Once prophylactic duties are included in a consent decree, only a judicial modification or termination may alter or excuse non-compliance. Here is an example of how specific and precise are the prophylactic remedies written into the Nunez decree. “shall record: (1) a statement from the team leader summarizing the situation and the plan for resolution; (2) an introduction by each team member, describing the member’s specific responsibilities in the plan for the Use of Force; and (3) a statement from the handheld video camera operator providing his or her name and explaining any impediments to obtaining a clear video recording of the incident.” Consent Order Section IX (d) (iii). The Nunez consent order continues with respect to the video that if the recording made by the video camera operator, absent equipment failure, does not reasonably and accurately capture the incident, the video recorder operator “shall be sent for retraining.” Should the operator repeatedly fail to capture key portions of the incident the consent decree directs that the operator “shall be subject to a referral” for discipline. Three. In the decree the parties approved the appointment of an outside, independent monitor who, with staff, has full run of the City’s Department of Correction and is authorized to evaluate and judge the City’s compliance with the decree. For many obligations, the independent monitor has the authority to approve or disapprove the policies and choices made by the Commissioner of Correction. The parties agreed that Steve J. Martin would be the monitor. Martin is a recognized career correction professional and an attorney engaged in private practice as a corrections consultant. He has worked for more than 40 years in the criminal justice field, including work as a correctional officer. Martin is based in Oklahoma and has worked on prison reform cases in New York City dating back to 1992. Martin has appointed a staff of five deputies and subject matter experts to work with him. The City pays all costs and fees associated with the monitor and his staff. Four. The decree contains a clause that permits the termination of judicial supervision, but only after the judge finds that the City has achieved substantial compliance with the terms of the consent decree and, in addition, maintains substantial compliance for a period of 24 months. The burden is on the City to establish substantial compliance. Substantial compliance is defined by the consent decree to require that the City has achieved a level of compliance that does not deviate significantly from the terms of the decree. This definition encompasses all of the prophylactic duties and obligations. Thus the City could have greatly reduced excessive violence, but still be subject to judicial supervision for failing to meet its prophylactic obligations. This is not just a theoretical concern. Governments remain subject to many decrees although they have long ago substantially honored the constitutional or statutory rights at issue because they have fallen short on prophylactic duties. On May 31, 2016 Monitor Steve J. Martin filed his first report covering the period October 22, 2015 through February 29, 2016. Martin gave the City a generally good grade. He lauded the commitment and efforts of the City, noted the full cooperation by the Department of Correction and other City agencies, and graded many but not all current efforts as in substantial compliance. Some obligations were rated in partial compliance, but none were rated in non-compliance. Monitor Martin rightly pointed out that Commissioner Ponte and the de Blasio Administration had enthusiastically committed the City to reform. They had identified many elements of the reforms prior to the signing of the consent decree in October 2015 and some had already been put into effect such as ending punitive segregation of 16- and 17-year-olds. Work had begun on other elements. On the other hand, the task set forth and described in the Nunez consent decree is enormous, nothing short of changing from top to bottom the culture of a municipal agency with 11,000 employees. Culture change means that new norms of conduct will be followed even when no one is looking. It means that the desired norms will be the one that the old-timers actually pass down to the new recruits. It means that the rewards and punishments given by the institution will be consistent with the desired culture. It means that what is said should be done will actually be done. Culture change of this magnitude will likely take years to accomplish, perhaps decades. The City now answers to powerful external authorities as to every change, decision and action it takes. It has to answer to a federal judge committed to enforcing the decree she signed; an independent, knowledgeable monitor and staff with the run of the agency and who must approve major decisions; and a group of skeptical, reform-minded attorneys. For any normal institution this situation would be seen as an existential threat. Instead, by consenting, the City has embraced judicial control and loss of independence as it chosen method for reforming the City jails. This loss of authority over a City institution can only be justified as necessary to eliminate levels of excessive use of force that violates constitutional rights. Congress in 1995 adopted the federal Prison Litigation Reform Act in response to excessive and long-term supervision of state and local prisons by federal courts. The statute provided two avenues for avoiding excessive and interminable control of municipal jails by judges and private attorneys. Both are consistent with the Supreme Court’s opinions concerning the limitations on federal court orders. Congress first directed that court orders in prison reform cases be narrowly drawn and be no broader than necessary to correct the violation. Federal judges may not issue orders in prison reform cases that are unnecessary to stop violations even if the state or local government consented. Second, Congress required federal judges to terminate prison reform orders when requested by the governmental body unless the judge determines that prospective relief, including the prophylactic duties, remains necessary to correct current or ongoing violations of federal rights. The City, following federal law, could seek termination of the decree two years from the date the decree was signed if it can show that systemic unconstitutional violence no longer exists; no violation of federal law, no basis for a federal remedial order. The parties to the Nunez decree acknowledged that the federal Prison Litigation Reform Act applied to the case. In a brief statement at the end of the 61-page decree the parties stipulated in language that tracked the statute that the court order was narrowly drawn and did not extend further than necessary to correct the violations of federal law. And, as stated above, the City also agreed that the decree would last until all provisions of the decree were substantially complied with and then maintained for two additional years. A plan even at this level of specificity is inadequate to meet all circumstances. Almost immediately the parties have had to adjust some milestones written into the decree as new needs were discovered and new plans formulated. Each change, no matter how small, requires that the City inform the plaintiffs’ attorneys, the monitor and/or the judge; negotiate with them; and seek their approval. Similar situations in the past have produced acrimonious litigation, delay and failures. A sustainable culture change must be led by the agency’s leadership and embraced by the rank and file. Long term reliance on outside leadership undermines the goal of culture change. Second, the large number of prophylactic duties in the Nunez decree makes even more difficult the City’s ability to achieve substantial compliance and terminate the decree. Ending each and every instance of excessive force in prisons is a desired goal, but surely is a dream. It is also a dream that all procedures and prophylactic duties will be perfectly accomplished. There is no bright line between systematic excessive use of force requiring juridical intervention at the level of the Nunez case, and the occasional incident of excessive use of force requiring only departmental discipline. In the absence of a constitutional bright line, the parties focus on the prophylactic duties. One can imagine a court hearing some day on the training of video recording operators and the level of manager observing an extraction of a prisoner from a cell. The termination clause in the decree is even more questionable. Judge Swain stated in approving the termination provision of the decree that the City had ‘voluntarily waived” its prerogative under the Prison Litigation Reform Act to have the decree terminated if no longer needed to correct current or on-going violations of federal law. This is both a mistake in law and bad policy. First, the current City administration lacks authority to waive a right granted by Congress to future City administrations. Moreover, the limitation is placed on the judge’s remedial authority, and the City surely cannot waive a limitation on judicial authority. As for policy, the parties should embrace the logic of the Prison Litigation Reform Act, and Supreme Court decisions, which directs that the decree in a prison reform case should be terminated when the decree is no longer necessary to correct violations of federal law. This approach differs from the consent decree’s termination clause which, if enforced as written, could conceivably result in the decree lasting forever. Given the specificity of the duites written into the Nunez decree, it is entirely possible that the Nunez decree, like the Benjamin decree, will still be governing City jails in 2054, 38 years from now. The Prison Litigation Reform Act points to the actual violations as the standard for measuring the life of a consent decree. Here the Monitor has done a real service in leading his First Report with a refined an index on the use of excessive force and injuries. By measuring actual outcomes within the jail, the parties will be able to test whether continued judicial supervision is warranted. Persons of good will should agree that actual outcomes are the best standard for governing judicial intervention. Agreement on this has not always the case. Judges and prison reform attorneys often sound like saviors: without us, no reform would occur in the jails. Some of the Nunez decree provisions appear to have been suggested by the sense that only by external attorneys watching will good results happen. In the current glow of collegiality and a positive First Report by the Monitor it would be good Judge Swain, along with the parties, began considering what outcomes concerning use of excessive force within the jails would warrant substantial modification and even termination of the decree, and to set a deadline for formal discussions on modifications and termination. My colleague David Schoenbrod and I have suggested elsewhere that a four year time period is an appropriate period. A four year period is tied to the normal term of a mayor, allows for democratically elected new or re-elected officials to rethink approaches, and keeps all parties focused on outcomes. Perpetual control of City jails by judges, independent monitors and private attorneys is only appropriate in a crisis. It should not be the default position lasting interminably. The following is a summary of the main provisions of the Nunez consent decree and the Monitor’s assessment of compliance as set out in the Monitor’s First Report. Injuries. Martin developed a normalized data index to evaluate the use of force and injuries. Going forward the Monitor will track incidents by taking into account average daily population. For the first four months Martin reported that the rate of both staff injuries and inmate injuries had shown some modest improvement. Use of Force Policy. The first requirement of the decree was the adoption of a new use of force policy which had to be approved by the Monitor. Correction met the deadline. Martin views the new Directive as a critical requirement of the consent decree. He wrote that the adoption of the new Directive was the first incremental step necessary to change the culture within Correction. Implementing and training the department’s staff on the new Use of Force Directive could not, however, be fully accomplished within the time periods specified by the consent decree. Accordingly the parties agreed to extend the effective date and the training compliance dates. The original date for completion of the training of all staff was early 2017. That date has now been extended to late 2017. The Monitor approved the modification, stating that it will take time to fully adopt and implement all aspects of the new Use of Force Directive. Training. The training requirements of the consent decree are substantial, and divided by category. All staff must be trained on the new Use of Force Directive. Other specialized training programs required include crisis intervention and conflict resolution, emergency response training (the so-called “probe Team”), defensive tactics training, cell extraction training, investigator training, young inmate management training and direct supervision training. The consent decree specifies how many days and how often the training must take place. The Monitor rated the City in substantial compliance, but noted that completion dates have mostly not yet come due. The Monitor flagged a problem that was not addressed in the consent decree – training facilities. The Monitor found Correction’s training space and its condition to be severely lacking and worried that these severe deficiencies will inhibit the City’s ability to train and implement the New Use of Force Directive. The Monitor devoted three pages of his report to describing the inadequate space, condition and cleanliness of Correction’s training facility in Middle Village, Queens, and contrasted it unfavorably with the new Police Academy in College Point, Queens. The City is just beginning to identify appropriate space and funds to meet this need. Tracking Systems. The Monitor evaluated the City’s efforts to develop tracking systems for use of force incidents. The consent decree commands that the City produce accurate, reliable and consistent information on incidents, injuries, medical treatments and investigations. Tracking relies on computerized systems and consistent entries of information. The Monitor found that progress in developing the tracking systems was in substantial compliance. Video Cameras. The consent decree commits the City to install 7,800 additional wall-mounted video cameras; develop policies and procedures with respect to the maintenance of the cameras; develop a pilot project on body-worn cameras; develop policies on handheld cameras and preserve all video for 90 days. The Monitor found the City’s record mixed with some obligations in substantial compliance while other obligations were in partial compliance. Use of Force Investigations. The consent decree seeks to have all investigations be conducted by a dedicated investigator and to have a preliminary investigation completed within two days of the event. The Monitor examined the record of preliminary investigations and found the City in partial compliance. The Monitor suggested that the two days specified in the consent decree was too short a time to achieve a useful preliminary investigation and that this provision may have to be modified. Correction must eliminate its backlog of investigations and complete all full investigations within six months. The Monitor rated these activities in partial compliance or to be examined in the next Monitor’s Report. Staff Discipline. The consent decree requires Correction to rewrite its disciplinary rules and standards to specify particular conduct unacceptable and to stiffen penalties. The City has drafted the new rules. The Monitor rates the effort as in partial compliance. Screening and Assignment of Staff. The consent decree requires that Correction develop standards and methods to assess personnel for risk of excessive use of force. The methods are primarily more intensive screening and procedures for the assignment of staff, and added requirements for promotions and hiring. These efforts were discussed by the monitor as progressing, but not yet ready for a rating. Inmates under the Age of 19. The overall purpose of this section is to better protect inmates under the age of 19 from violence. Obligations include enhanced supervision and qualification of staff, lower staffing ratios and the refinement of the inmate classification system. The decree also required the development of positive incentives for inmates to avoid violence, along with new procedures for housing assignments, surveillance and responses to threatened violence. The Monitor rated the City’s efforts as in substantial and partial compliance. Inmate Discipline. The consent order seeks to reduce the historical overreliance on punitive segregation. The Monitor noted that Correction had already reduced the number of persons in punitive segregation. In 2014 the City had 600 inmates of all ages in punitive segregation on an average day. As of May 2016, the total population in punitive segregation had dropped to less than 200. Under Mayor de Blasio, 16- and 17-years-old inmates are no longer subject to punitive segregation. The consent order requires the development of well-designed alternatives, proper administration, limitations on the time in punitive segregation, and involves issues of mental health among other concerns. Corrections will also have to develop appropriate therapeutic settings. Correction is required to hire an outside consultant to review the infraction procedures and then adopt and implement recommendations. Correction has just hired the consultant. The Monitor rated the City’s efforts as substantial and partial compliance with some areas not yet rated. Housing Plan for Inmates under the Age of 18. The City must use its best efforts to find and locate alternative housing for inmates under the age of 18. The process of locating such a site is just beginning. Staff Recruitment and Selection. The consent order requires the City to develop recruitment methods and standards designed to reduce risks of excessive force. The order specifies that there be a background check that looks into such matters as domestic violence, child abuse, relationships with current inmates, criminal history and affiliation with gangs. The Monitor rated the City’s efforts as substantial compliance. Arrests of Inmates. The consent decree seeks to reduce the arrests of inmates and requires a hierarchy of procedure prior to such an arrest. The milestones for this requirement have not yet come due. Implementation. The consent decree requires the Correction Commissioner to designate a compliance coordinator who will coordinate all of the requirements of the consent decree. The Commissioner has so designated a person. The Monitor rated the City in substantial compliance. Ross Sandler is a Professor of Law and Director of the Center for New York City Law at New York Law School. David Schoenbrod is Trustee Professor of Law at New York Law School. Sandler and Schoenbrod are the co-authors of Democracy by Decree: What Happens When Courts Run Government (Yale University Press 2003).